The Sight upgrade is not available at this time. Due to our silencer manufacturing workload, the sight upgrade is temporarily suspended. 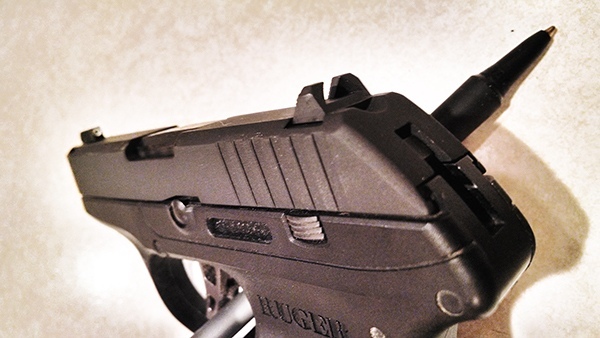 The sight upgrade is for the Ruger LCP, LCP II (excluding custom model), Taurus TCP, and the second generation Keltec P3AT and P32. We have been upgrading the sights on these pistols for civilians and Law Enforcement officers across the nation since 2007. With an eye for detail, our craftsman take the time to ensure proper fit, sight picture, and finish. The sight upgrade includes, front night sight, plain notch rear sight with cocking serrations, sight installation and Parkerized refinishing of the slide. The additional options are, barrel and feed ramp polishing or Blackening, and color finishes. Please review the detailed information in the tabs shown below. Request to be added to the notification list. We will notify you by email when the sight upgrade is available. #1) Read ALL of the information in the FAQ tab. #2) Request a job number. We will respond with a job number, and information on how/what to ship. A job number is required for all services. #3) Once you have a job number, complete the work order directly on the website and hit “Submit / Email Me My Copy” at the bottom. The completed work order will be emailed to you. Go to your emails and print out the work order and include it in your shipment. Check your spam folder if you do not see the email. #4) Ship us only the following items: slide, barrel, work order, and payment including return shipping (if paying by check). If paying by credit card we will contact you when the work is complete for your payment information. What do I include in my shipment? Do I need to remove the firing pin and firing pin spring from the slide? No. You do not need to remove the firing pin and firing pin spring. How much insurance should I add to my shipment? We recommend adding enough insurance to replace the entire pistol if the slide and barrel become lost during shipping. We are not responsible for lost shipments. How does Innovative Arms send shipments? We ship through your choice of either USPS Priority Mail, UPS, or FedEx. All shipments will have insurance, and signature required for delivery. What’s the current turn-around time? The current turn around-time is estimated between 3-4 weeks. How do I know if my Kel-Tec P3AT or P32 is second generation? Please contact the manufacturer www.keltecweapons.com to verify. You will need your pistol serial number. What other services are offered for these pistols? The sight upgrade is the only service that we offer. What sights are used in the upgrade? The front sight is a newly manufactured Trijicon night sight. The rear sight is a plain notch sight with cocking serrations that is manufactured by us, in-house. Are there any sight options? No. The sights are not offered in any other configuration. 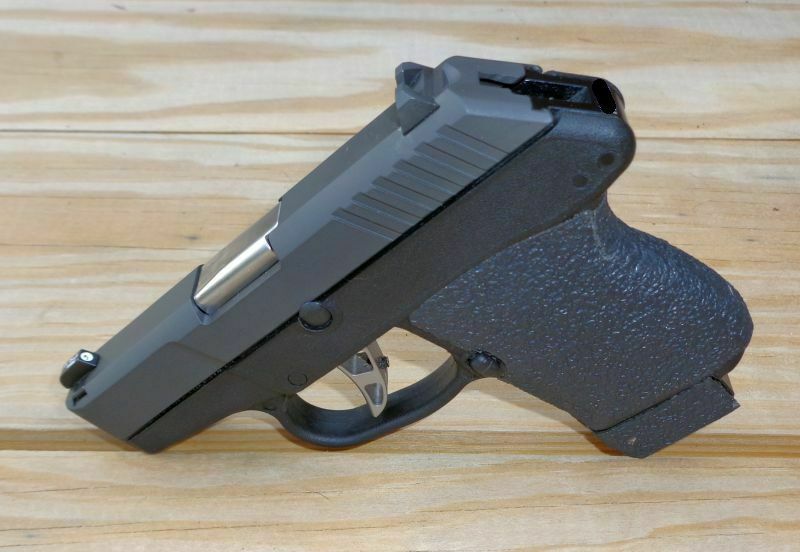 There are no rear sights currently on the market that will accommodate the design of the slide. We manufacture the rear sight specifically for this sight upgrade and do not offer a variation. There are no front sights currently on the market that will accommodate the slide except for the front night sight that we currently use. Are the sights available for purchase without installation? No. The sights are only offered as a complete upgrade to your slide (both front and rear sight installation). The rear sight is adjustable for windage. 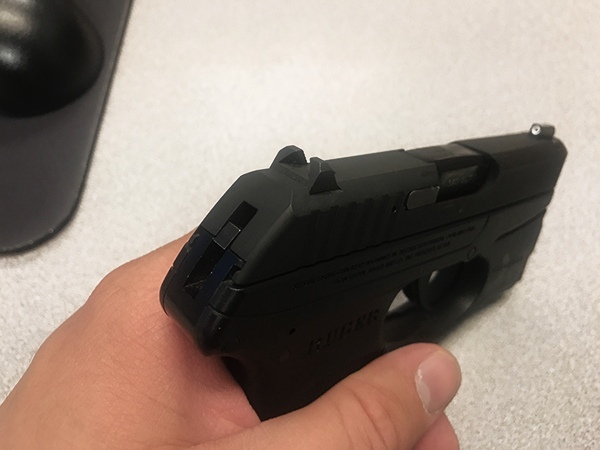 Can the sights be installed on the Ruger LCP “custom” model? No. Ruger cuts the slide on the “custom” model in such a way that will not allow for our sight upgrade. My slide is engraved, will installing the sights affect the engraving ? Yes, depending on the engraving. We suggest emailing us an image of your slide so we can tell you for sure. Do I need to send the barrel even if I don’t want it polished? Yes. The barrel is required to assure proper fit after the sights are installed and the slide has been refinished. If you do not include the barrel in your shipment you may have fitting issues with the slide. What’s the benefit of polishing the barrel and feed ramp? Polishing the feed ramp assists with smooth ammo feed. Polishing the barrel is purely for aesthetics. Does the slide have to be refinished? Yes, unless the slide is stainless steel. Refinishing of the slide is required due to the machining process to install the sights. Please be aware that some owners believe that their slide is stainless steel when it is actually chrome and will require refinishing. If you are not sure if your slide is stainless steel, we can verify when we receive it, or you can contact Ruger with your pistol serial number for verification from the manufacturer. Is there a price break for a stainless slide that is not being refinished? No, the price is the same. Please be aware that because the stainless slide is machined for the sights it will be glass bead blasted for the stainless steel slide to have an even sheen. I have a Chrome slide, will the slide still need to be refinished? Yes. When we machine on the slide to install the sights the chrome finish will be compromised and the entire slide will need to be refinished to prevent rusting. Which is a better finish, parkerizing or moly resin? Both parkerizing and the moly resin finish are as durable, if not more durable, than the factory finish. Parkerizing and the moly resin (in the Satin Black color) look almost identical to the factory finish. The moly resin finish is the most popular of the two finishes because it holds up better in the conceal carry environment. What’s the difference in between the moly resin colors finishes, other than just the color difference? There is no difference in durability between any of the moly resin colors. The only thing to be aware of is that lighter colors may show dirt and residue more than a darker color. Trijicon products are subject to export controls administered by the U.S. Department of Commerce or the U.S. Department of State and require an export license to be shipped outside of the United States. Export or re-export without prior authorization from the U.S. Government is prohibited. For this reason, we only sell directly to established distributors, who have provided the necessary information and documentation required for proper authorization to export. For additional information, please contact the Trijicon Export Compliance Team. *The sight upgrade is $175. It includes sights, installation, and a parkerized finish. *Shipping & handling is $13. We ship by US Priority mail, with insurance, and a signature required for delivery. Polishing of the barrel and feed ramp is an additional $15. Satin Black resin finish instead of the parkerized finish is an additional $15. Colored resin finish instead of the parkerized finish is an additional $25. The color options are Brushed Stainless, OD Green, FDE, or Burnt Bronze. Sent my Stainless LCP slide in for tritium night Sights . Wow was I impressed with the finished product! Beautiful workmanship on the dovetails for the front and rear sight. Love the large tritium front sight with a white outline. Very nice sight picture. I had some scratches on the slide. Innovative Arms removed the scratches, the slide looked better then new after the sight install. Hi polished barrel was nice too. Very pleased with the finished product. Beautiful work and good communication. I was quoted 2-3 weeks and received it back on day 13. I will recommend this company. I elected to have my P3aT upgraded with the sights and Parkerize finish with the barrel/ramp polished. Excellent workmanship and even called to answer my follow-up questions. I shot 100 rounds at the range today with no functional issues to report. Thanks Innovative Arms. 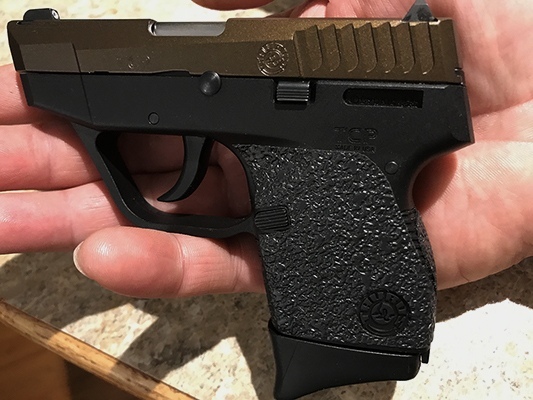 I received my LCP back last week ahead of schedule after getting the sight upgrade and I was really impressed with the fit and function of the sights as well as the flawless Parkerizing job Innovative Arms did on my weapon. The sight picture was drastically upgraded and made it very easy to qualify with the weapon at 25 yds. I am confident I can defend myself in low light now as well and not just at contact distances should my primary weapon go down or get taken in a struggle. LCP now has great sights! My older eyes could not pick up on the original sights. Quick turnaround too! Wow! What an improvement to my LCP!!! I need to get out to the range this weekend to try this out. Top-notch work. Without even shooting I will say this is well worth the money. Thanks for resuming this upgrade. Sight upgrade was completed ahead of scheduled time. Shipping was lightning fast. Quality of work and new finish is second to none. The staff is very professional and extremely customer service oriented. 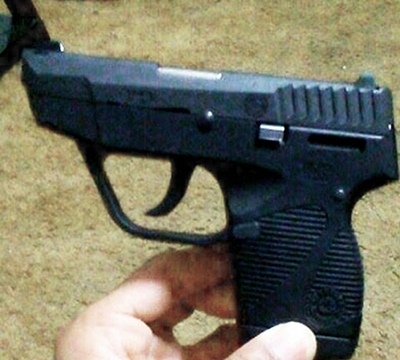 They transformed my "last ditch effort micro-pistol" into an extremely formidable competitor. My TCP is now my go to pistol due to size, improved sights, and increased reliability thanks to Innovative Arms. You guys are AWESOME! I will be referring anyone who has any of these pistols. Additional information from LJunious: USAF Veteran. OIF/OEF Veteran. I'd like to thank Innovative Arms for the awesome job on the sight upgrade for my Taurus TCP. It looks better and shoots better. Thanks! Beautiful work. The sights are perfect, just what my LCP needed. A+ for customer service, and workmanship.